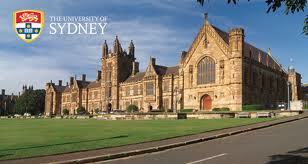 Following the success of the Sydney Achievers International Scholarships in 2012, the University of Sydney takes great pleasure in announcing an enhanced Scholarships scheme for new international students commencing at the University in 2013. Up to 100 of these prestigious Scholarships will be offered in 2013 to high achieving, academically meritorious, international students, inviting them to enjoy the Sydney experience at one of the finest institutions of higher education in the world. Applicants must have completed an Australian Year 12 qualification or an international senior secondary qualification accepted by the University with an outstanding Australian Tertiary Admissions Rank (ATAR) or equivalent, as deemed by the University of Sydney. Students who have already commenced tertiary studies, or students transferring with credit exemptions and/or advanced standing, are not eligible. AUD$10,000 each per annum, (ie, $15,000 in total for a 1.5 year program, $20,000 in total for a 2 year program) available for the CRICOS registered duration of a recipient’s program of study, for any Postgraduate Coursework program offered at the University of Sydney (subject to the recipient maintaining satisfactory academic progress each year). Students who have already commenced postgraduate studies, or students transferring with credit exemptions and/or advanced standing, are not eligible.